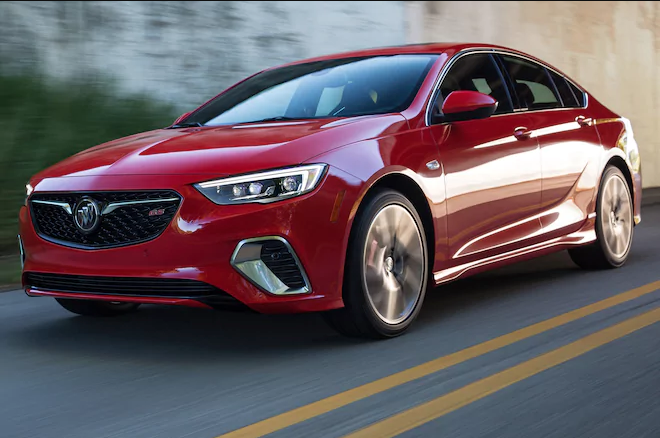 On a warm, sunny day in the waterfront city of Norfolk, Virginia, Curtis Parker, the general manager of the CrossRoadsNews, walked down to the valet stand at the Hilton on East Main Street and hopped into a 2018 Buick Regal GS for a spin around town. Parker was in Norfolk for the National Newspaper Publishers Association’s (NNPA) annual convention. The NNPA is a trade group representing more than 200 Black-owned media companies and newspapers in the United States. CrossRoadsNews is a Black-owned, weekly newspaper serving South DeKalb County in East Metro Atlanta. The Regal GS was part of a unique “Ride and Drive” experience offered by Buick during the NNPA’s convention. Buick provided three vehicles for the NNPA’s Ride and Drive experience—the 2018 Regal GS luxury sedan; the 2018 Cascada convertible; and the 2018 Enclave Avenir, a luxury sport utility vehicle (SUV). The Regal GS features performance seats equipped with heating, cooling and massage settings and comes equipped with a 3.6L V-6 engine. Parker enjoyed the eight-inch (diagonal) Buick Infotainment System and said that the Bose premium eight-speaker system sounded great. Parker also liked the legroom in the Regal and thought that it would be perfect for family road trips, especially with the built-in 4G LTE Wi-Fi® hotspot that comes standard. The 2018 Buick Enclave Avenir SUV also has plenty of legroom, and comes with an additional third row of seating. A rear vision camera, rear park assist and seven air bags, including a front center side airbag, come standard on all 2018 Enclaves. Cloves Campbell, the publisher of the Arizona Informant, preferred the Buick Cascada convertible. Duncan Aldred, the vice president of Global Buick and GMC, said that there’s never been a time like this at Buick. Parker said that the Ride and Drive was a nice touch that definitely enhanced the NNPA’s annual convention in Norfolk. Freddie Allen is the Editor-in-Chief of the NNPA Newswire and BlackPressUSA.com. Follow Freddie on Twitter @freddieallenjr.